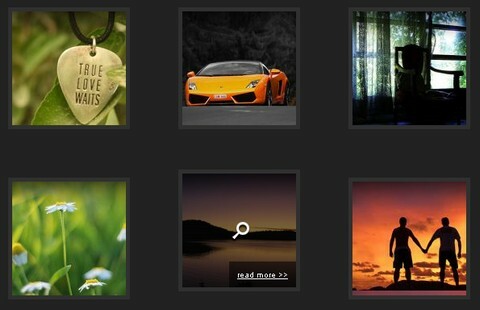 Thumbnails of photos is very common part of any website. We have seen a lot of innovation and beautiful representation of thumbnails. Recently Nitin Hayaran has demonstrated how to create a beautiful hover effect on thumbnails using Mootools. Beautiful Thumbnail Effect is just a demo of the possibilities. One can use the same technique to show the Title of the Image or RunTime and Title of Video Thumbnail. Concept is nice, implementation leaves something to be desired. The whole thumb should be clickable, and I don’t like the bump + glass effect, would look nicer with just the glass effect IMNSHO.